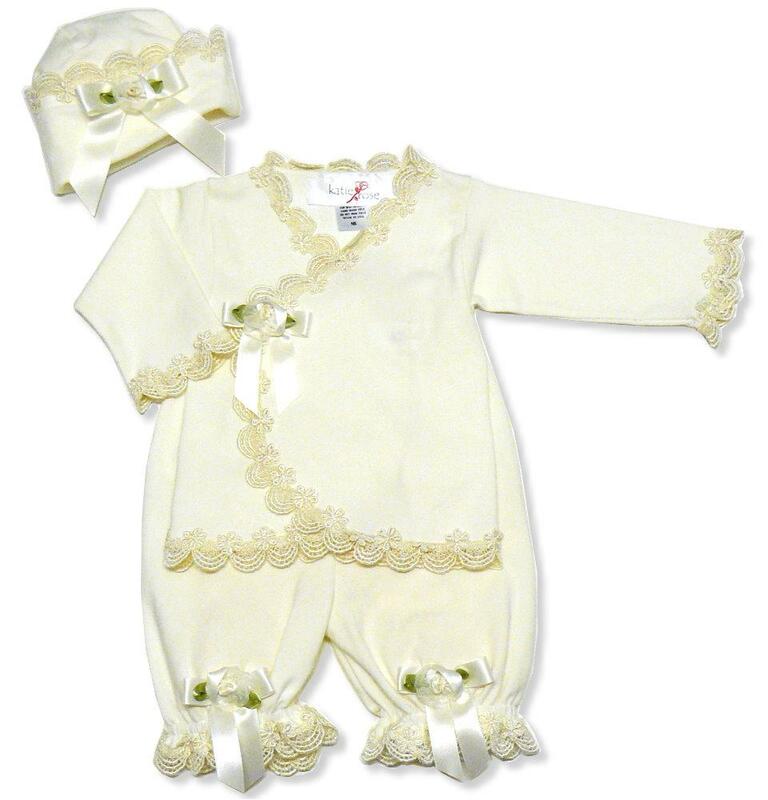 Katie Rose 3 Piece set is just addorable - Trimed with Ivory lace and silk roses. 100% cotton, Exclusive of Trim for best results. Hand wash cold, Do not Iron tulle dry flat / Made exclusively for Katie rose of USA.